Phil Wells focuses his practice on commercial real estate. 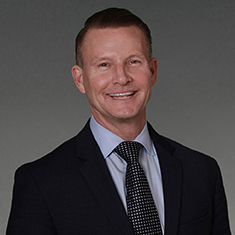 Prior to joining Katten he worked as in-house counsel for a high-end furniture retailer and as general counsel and corporate secretary of Compass Group USA, Inc. Phil also has experience as pro bono counsel for several nonprofits. Phil has been and is still involved with various LGBTQ organizations; he is one of the founders of the Mecklenburg Lesbian, Gay, Bisexual and Transgender Political Action Committee (MeckPAC) and previously received the Don King Community Service Award, which recognizes community members in Mecklenburg County whose work embodies the legacy of longtime Charlotte LGBT leader Don King. Shown below is a selection of Phil’s engagements.